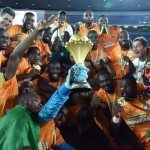 (AFRICAN EXAMINER) – Nigeria’s representative in the CAF Confederation cup, Rangers International Football Club of Enugu, on Sunday defeated Salitas Football Club of Burkina Faso 2-0 in the first leg match of the group stage of the continental soccer played at the Nnamdi Azikiwe stadium Enugu. African Examiner Correspondent who covered the encounter reports that Rangers striker, Godwin Aguda opened scoring for the Nigerian side in the 2nd minute into the match. The 2nd goal came at exactly 45 minutes via a free kick at the edge of the 18-yard box, by Isaac Loute. Though, the two teams gave good account of themselves, but Rangers, displayed more skillful football in the second half of the match, in which striker, Bobby Clement missed double chances for the home side. The player missed a chance to score for Rangers in the 49th minutes after the visitor’s defender gave him a run for his money. 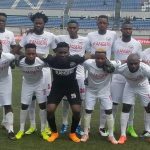 Speaking to Sports writers at the end of game, Rangers Technical Adviser, Olugbenga Ogunbote expressed happiness over the victory, saying that it will serve as a moral boaster for his team in the group. 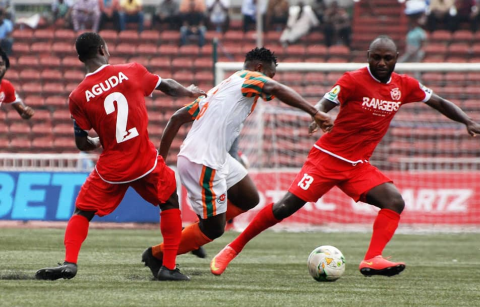 Rangers Skipper for the match, Aguda, in his reaction, expressed gratitude to God for the victory in their first match of the group, noting that though, they still have much to do until their quarterfinals beat is confirmed. Coach of the visiting side, gaffer Ladji Coulibaly said his players played well but was not lucky to have scored, saying that he is hopeful that they will come out victorious in their next group match. Captain of the side, Ismael Zagre said that he is happy inspire by the outcome of the match. 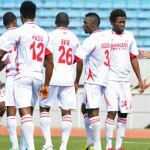 Rangers and Lobi Star of Makurdi Benue state, are representing Nigeria in the ongoing CAF Champions and Confederation soccer competitions.